Thanks so much for your positive feedback. Hi: No, I do not use Twitter. I am glad you find my website useful. At the moment I am not very active blogging. 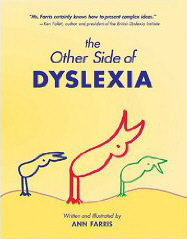 I feel as though I have covered the topics that I know and interest me around dyslexia and hyperlexia. There doesn’t seem to be that much that is new on this topic. But, when something strikes me as important I will indeed add it.